While winter may not have officially started yet, winter weather is starting to rear its ugly little head. This means we are entering the season where hot chocolate by the fireside is the perfect end to a long day and where those of us who suffer from dry skin start buying our moisturizer in bulk and carry at least half a dozen travel size bottles with us where ever we go. 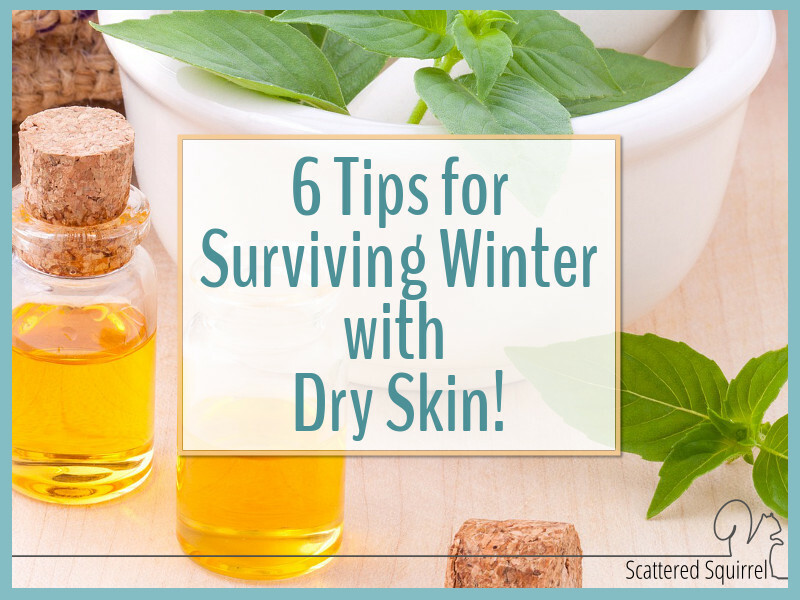 Over the years I’ve read every how to, tip and trick I can find to help soothe dry skin, especially in the winter, and I’ve created a list of my top five tips that have helped in years gone by, plus my new secret weapon to combat dry skin. Dry skin is not a pleasant thing to live with. Some days it feels like you’re always on the verge of being itchy. I choose my clothes for the day based on how my skin feels and whether or not I think they’ll aggravate that feeling. I’m actually a little tired of feeling like I’m a slave to my skin. After living with this for years, I’ve come to two conclusions – winter is the absolute worst time of year for dry skin and finding relief isn’t just about finding the right lotion. It’s more about fine tuning your skin care routine a little so that you’re not making the problem worse. Exfoliating helps to get rid of the dead skin cells on our bodies. Not only does this help make our skin feel nice and soft it helps moisturizer absorb better. Think of it kind of like taking care of a house plant. If you snip off the dead leaves the plant as a whole does so much better. Our skin is kind of like that. Now for me, this is step one, because I use a dry body brush. I find that it works really well before I hop in the shower. Now, I’m careful not to use it every time, I try not to use it more than twice a week. Once all over and once just on those dryer problem areas. If dry brushing isn’t your thing, you can easily use a body scrub. I shared my favourite in my At Home Spa Night post if you want to try making your own. If DIYing a scrub isn’t your cup of tea, try looking for one that is formulated for dry skin, but isn’t full of dyes or scents. Harsh chemicals and dry skin are not a good combination. I love a hot bath or shower, unfortunately, my skin doesn’t. When I first heard this tip, I was really skeptical about it. I mean, what difference could the water temperature really make? It turns out, quite a bit. You don’t have to have a cold shower, but you want to try to find a balance where the water is warm enough without being too hot. This was such a tough one for me to change. As if dry skin wasn’t already enough of a pain, I had to give up my hot showers too? But you know what, I don’t miss them that much anymore. And I allow myself to cheat a little when it comes to having baths. That’s really when I want to enjoy the extra warmth anyway. Soap can be drying. Some are also really harsh for the skin, stripping away the natural oils that are essential to keep skin moisturized. If you suffer from dry skin like I do, try switching to a more gentle soap or body wash. Look for one that isn’t full of dyes or scents and preferably one that isn’t full of chemicals. I don’t have any recommendations for this one, as I’m still looking for a good one myself. If you can’t find a gentler soap, try using less and make sure you rinse off really well. Soap residue left on the skin can irritate and dry it out. And goodness know, we don’t need to be drying our skin out more. When it comes to drying off, try to avoid roughly rubbing with the towel. This, as far as I can tell, has nothing to do with treating dry skin but everything to do with not irritating it. Also, patting or blotting dry leaves a little moisture on the skin with is great for the next step. Rich moisturizers can be really soothing. I’m especially fond of ones that contain aloe or oatmeal because they seem extra soothing to me. (that might just be in my head though) Like with your soap, you want to look for a moisturizer that is free of scents and dyes and hopefully as chemical free as a possible. I know a lot of people swear by using coconut oil which is a really great and gentle option. I, myself, have not tried it so if it’s something you want to try for yourself I strongly suggest you do a little research beforehand so you can make sure you’re getting the right oil. Some people swear by applying your moisturizer while you’re still in the shower. The heat and steam are supposed to help the moisturizer absorb better into the skin. I’m not really sure if I ever noticed a difference doing it that way. But it doesn’t hurt to try. When you’re applying your moisturizer avoid the slather and done approach, especially on your problem areas. It may take a little more time, but massaging the moisturizer into your skin will help it absorb better and it will do a better job of taming that itchy feeling. 6 Pure Hazelwood For the Win!!! This year I have a new weapon in my arsenal for combatting dry skin, and I have to say I’m actually really surprised by this one. I’m not one to discount new ideas so I was really excited to give this a try, but I definitely tried hard to not get my hopes up. In fact, I would almost go as far as to say I was skeptical, but open minded, about whether this would work or not and I’m happy to say I’ve had some great results. Pure Hazelwood is a Canadian company that offers a whole range of products that are made from 100% natural hazelwood, grown in the Canadian Boreal forest. 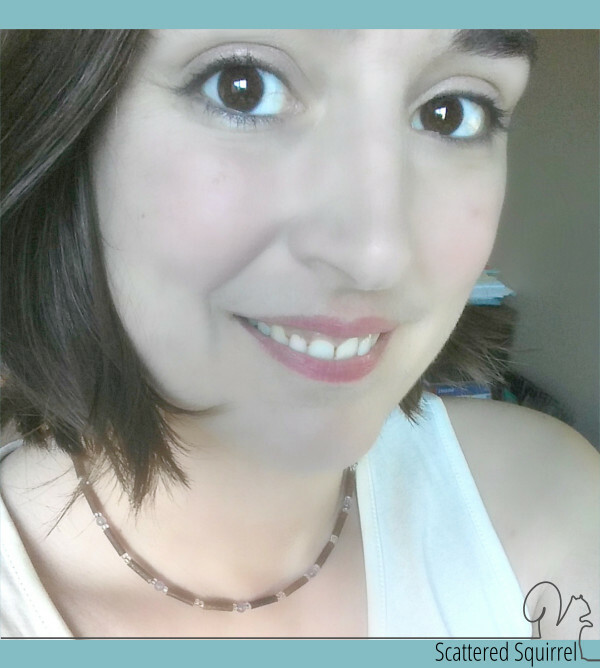 The have beautiful therapeutic jewelry, like the necklace I’m wearing above, (as well as bracelets and anklets) and skin care products like lotions and ointments. Their products are all designed to help relieve symptoms related to inflammation for things like teething pain, joint pain, heartburn, and skin conditions like eczema. And that statement is really the key to why I was so excited to give their products a try. They aren’t promising to cure it all. It’s not a magical fix, it’s a symptom reliever. 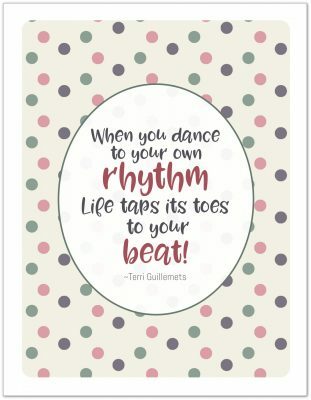 And I’m sure that anyone of you who is reading this who lives with some of these conditions know how much of a difference treating just one symptom can make. I have very dry skin. The kind of dry skin that can almost drive a person nuts, because relief is always temporary and fleeting. I’ve learned, over time not to get my hopes up. So when my necklace arrived in the mail I was excited but trying not to be. The first thing I noticed was how pretty and slim it was. I’ve looked at other therapeutic jewelry before, and a lot of it is really chunky. Almost like it has to be bulky to work right? I’m not a chunky jewelry fan, so I loved how almost dainty the necklace was. I have only taken it off while showering and I don’t even notice I’m wearing it. The beads and the clasp are all nicely lined up, there’s not rubbing or catching on the back of my neck. It really truly is to forget that I’m wearing it. Which is great because I don’t think I can live without it now. Because I knew I was going to be writing this review, I wanted to give Pure Hazelwood a good and solid test. I didn’t change a thing about my skin care routine. No new moisturizer. Same amount of showers as always, same soap. Everything stayed the same, well … not everything. After I’d had the necklace on for about a week we had a really cold day here. It dipped into the below zero (Celcius) number and I threw on one of my warmer sweaters but forgot to throw on one the long sleeve t-shirts I usually wear under it. I love this sweater, but the knit of it can sometimes aggravate the itchy feeling of dry skin. This was when I first noticed that things were changing. It was around noon when it finally dawned on me that I forgot the t-shirt, and more importantly, that I wasn’t ready to claw off skin from the itching. If you don’t have dry skin and don’t really understand what I mean about the itching allow me to try to explain – you know that sort of tingle you get just before an itch crops up? Imagine that feeling all over, all the time, day and night! It can drive a person batty at times. It doesn’t take much to turn that almost itch into a full-blown itch either. It really is maddening. And you don’t really understand how maddening it is until it’s gone! After three weeks of wearing my necklace every day, I don’t feel like that anymore, not all the time anyway. I’m now able to notice which areas are really bad and I’ve just been making sure to moisturize them more often. And the effects are lingering. I took my necklace off on Monday to see what would happen. Two days later, my skin is still feeling good. So you don’t have to wear the jewelry all the time. If you want to switch up your look it won’t negatively effect it. For my next test, I’m going to try just wearing it at night for a few weeks and see what that does, but I am so happy with this product. I’ve already picked out a few bracelets and another two necklaces that I’d like to get to add to the collection. Now, I still have dry skin. This was not a magical fix for that, but that’s all right because it wasn’t supposed to be. It was supposed to help alleviate some of the symptoms and it certainly lived up to that for me. I never thought I would feel so grateful for something that seems so small. I wish I could bottle this feeling of relief up and send it to all of you so you can experience it for yourself but I can’t. You can check out more information about how this all works over on the Pure Hazelwood website. Now I’d like to hear from you! 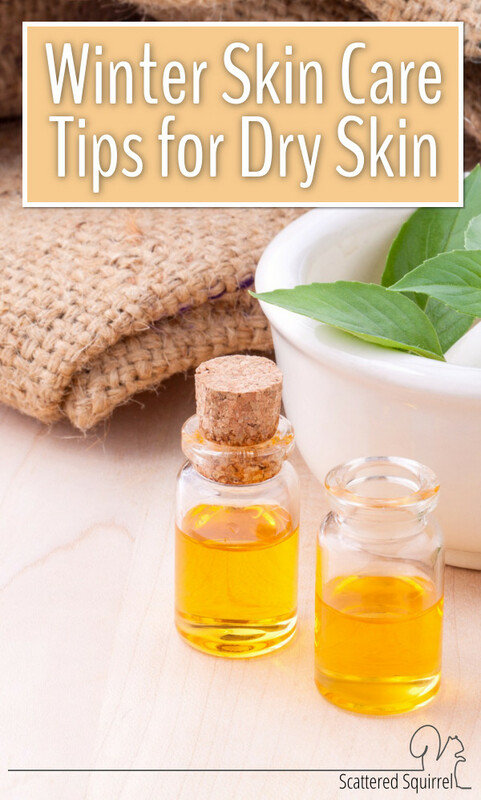 Do you suffer from dry skin? Have you discovered anything that helps you manage it?